When projects come down to the wire or require the highest level of performance, you need to know that you have all the right tools for the job to get you through the day without interruption. Designed to make your workflow the pinnacle of efficiency, the HP ProBook 470 provides an outstanding, reliable experience with style and sophistication to match. Reshape the way you work and discover unlimited potential with a notebook boasting the latest features that deliver unparalleled results to keep you moving forward in any scenario. When you need to take your work on-the-go, we know that lugging around a clunky notebook can make working remotely a hassle. The ultra slim frame and light build of an HP ProBook laptop gives you more freedom than ever to comfortably transport your notebook from the office to the subway, coffee shop, or job site without interruption. You also won’t need to hover near a power outlet for fear of a drained battery. This notebook features an exceptionally long battery life to ensure you always have enough power to stay on task without fear of losing power in the middle of an important project, conference call, or video chat. Work laptops don’t have to look utilitarian and dull. As stylish as it is functional, the HP ProBook 470 sports an elegant and modern design featuring black or silver finishes. Also, the stamped aluminum keyboard adds a flair of sophistication to your working day. The sleek design is as rugged as it is sleek. Made to stand up to military-grade standards of durability, you can confidently take your notebook to any work site knowing that it can stand up to the elements. Make a bold statement with a professional notebook that matches the height of modern style with the pinnacle of performance power. 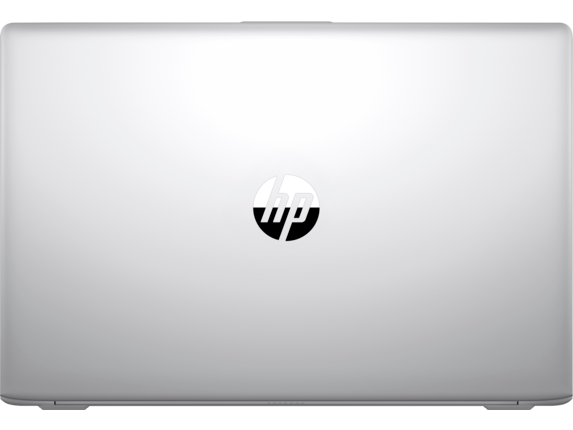 Equipped with a host of security features to ensure a high degree of protection, the HP ProBook laptop helps make sure your work is accessed only by those you choose. The included HP Client Security Suite locks out attackers and helps keep all of your files protected, and HP BIOSphere provides you with an extra edge of protection from malware. And for even more security, opt for the fingerprint reader to really ensure no one else can use your device. With these features, you can work confidently on a notebook you can trust to keep your most important data protected from unwanted outside access. When working as a team, it’s crucial that you can count on responsive and reliable communication tools to stay ahead of the task at hand. The HP ProBook series, which includes the stunning, customizable HP ProBook 470 G5 Notebook PC, includes a remarkable suite of features engineered to make voice and video calls as efficient and effortless as possible. 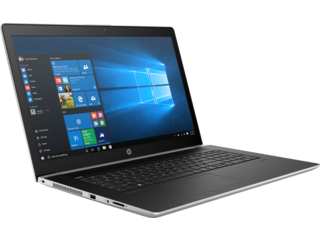 Enjoy crystal-clear video and audio chat on a dynamic 17.3-inch Full High Definition (FHD) display combined with HP Audio Boost and HP Noise Cancellation. And when you use Skype for Business™, you can manage calls and chats across your team, stay in touch with clients, and advance your professional network. Video chatting has never been easier or more immersive than the experience provided by an HP notebook fine-tuned for the ultimate visual and auditory solution. 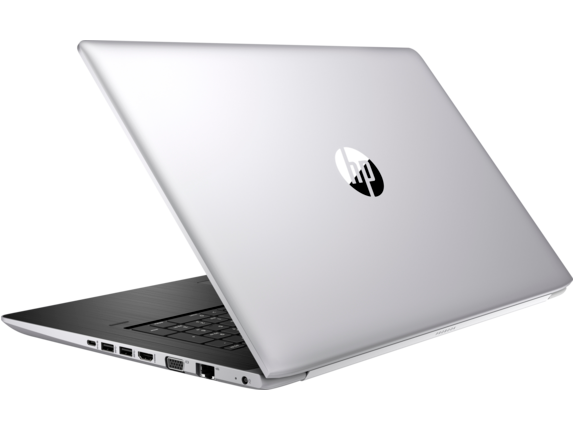 Whether you’re working in graphic design and rendering massive files, you’re an engineer relying on responsive programs, or you just depend on the best results in processing power, the HP ProBook Notebook PC family has you covered. You have the ability to choose from an 8th Generation Intel® Core™ i3, i5 or i7 processor to harness the best performance outcomes available today. It also provides the power to take on even the most intimidating projects with confidence. 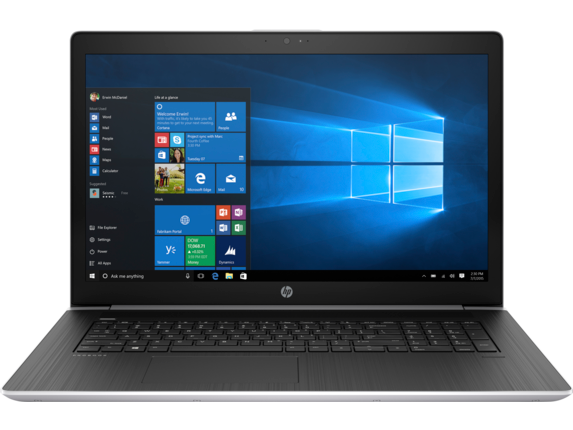 With up to 8GB of memory, 1TB of HDD storage, and NVIDIA® GeForce® graphics, consider the HP ProBook 470 G5 17-inch Notebook PC. It’s loaded with all of the internal hardware you need to make any task an absolute breeze. Packed with some of the most cutting-edge technology, this series of notebooks puts the power in your hands to accomplish more. When you’re looking for more functionality from your laptop, there’s no need to switch devices. The HP ProBook 470 is designed to easily attach to a USB-C™-compatible dock to connect multiple accessories including displays and keyboard to provide a full desktop experience from your portable device. Hook up to a monitor and highlight your presentation to the whole room, and then quickly undock your notebook to take on your next task. With an ideal solution for seamless connectivity for board meetings, project collaboration, or long work sessions in the office, you’ll enjoy the best of both worlds without compromising speed, power, or performance. Get the most out of one machine by instantly upgrading your notebook with easy connection to many of your devices. No matter what your daily operation looks like in your business or workday, you can trust in a notebook dedicated to delivering one of the best experiences available. 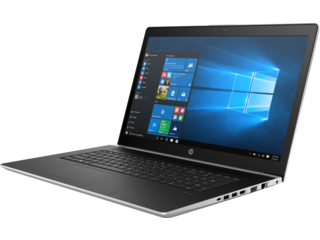 Fully stocked with the leading processors, video and audio quality, and a stylish design made for portability, the HP ProBook 470 has it all. Whether your work takes place primarily in an office or on the move, embrace the limitless potential of a device engineered to stand up to the even the heaviest workload.